What is Corten Steel Plate ? An ISO 9001:2008 Certified Company, Aakash Steel is a leading stockholder, supplier and exporter of Corten Steel Plate . Corten Steel Plate are cut to your specifications and supplied with complete set of mill test reports. Custom length and width can be made available. Exports is Our Specialty! and we can source many hard to find grades and or non-standards sizes to meet the special requirements of our customers. All Corten Steel Plate can be cut to size with the help of our extensive expertise in processing steel plate products. 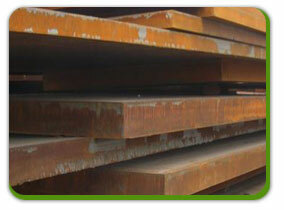 Orders at Aakash Steel are guaranteed fast delivery of the Corten Steel Plate in the country. The main reason being we have an excellent warehousing and storage facilities for both finished and semi finished goods.They are made ready as per the urgent requirements of the customers. The Corten Steel Plate are manufactured to sustain very high pressure and product warranty.In 2016 we have stocked more than 188 tons of Corten Steel Plate in all sizes, to cater to immediate delivery and urgent needs of the clients. 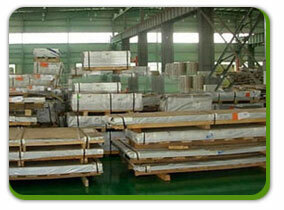 For small requirements we can dispatch the Corten Steel Plate immediately against the purchase order. Corten is a weathering steel. This material is a corrosion resistant steel, that left uncoated develops an outer layer patina. This patina protects the steel from additional corrosion. It is a high strength steel alloy, and it is used where higher strength and longer life cycle material are desired. Especially in situations where untreated alloys are desired. As Cor-Ten became more popular over the years other producing mills began to develop their own atmospheric corrosion resistant weathering steels. ASTM stepped in and created what is considered equivalent specifications to Cor-Ten® in most applications.The applicable equivalent ASTM specifications are ASTM A588, A242, which Aakash Steel supplies in plate. Each order is packaged according to the customer’ s standards including preparation for export such as wooden case, pallet or according to customer’s requirement All shipping documentation is provided for Corten Steel Plate delivery from mill to customer.